The French government plans to cap executive "golden handshakes" at 30 percent of their salary, Finance Minister Bruno Le Maire said on Thursday, calling the multi-million-euro exit package planned for Airbus boss Tom Enders "excessive". 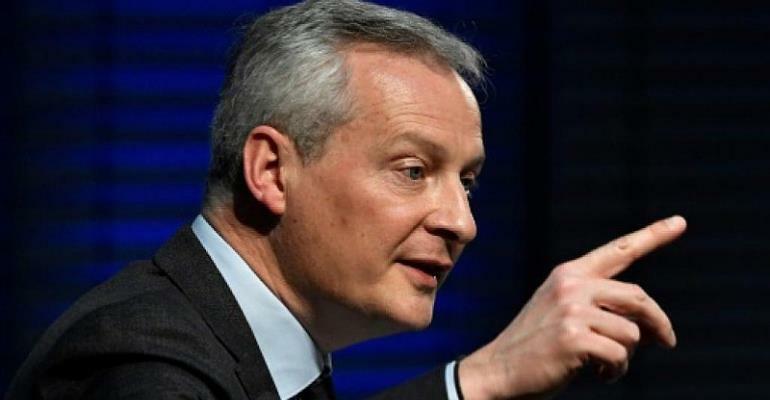 "I will limit the amount of bosses' golden handshakes to 30 percent of their salary," Le Maire told the BFM news channel, adding: "It will be written in stone in the law. On Tuesday, it emerged that the chief executive of the European aerospace giant Airbus stands to receive a severance package of nearly 37 million euros when he steps down next week, according to calculations by an investor advisory firm. Airbus has acknowledged the "soundness" of the calculations made by the investor advisory firm, Proxinvest. Le Maire said these amounts were "excessive and belong in the past," as he announced plans to limit them in a bill currently before parliament. The huge exit packages paid to the departing bosses of big companies and executive pay have long been controversial subjects in France. The previous Socialist government had introduced a non-binding code of conduct for companies which recommended that they cap the exit packages at 45 percent of the executive's salary. Le Maire said legislation was needed "because clearly good practices are not enough". The French state owns an 11 percent stake in Airbus, while Germany has 11 percent and Spain 4.2 percent.